You gotta love Apple (no, seriously, you gotta love Apple to get a job here at Cult of Mac – Leander tests our faith every day during Morning iService) – it might keep quiet and take its time to fix things, but fix them it does. Well, for high-profile problems at least. Today’s fix is a new iPad charger, a beefed up 12-watt model which should juice the iPads 3 and 4 faster than the old model. The new 12W adapter ups the power output from 10W, itself a big jump over the 5W adapter for previous iDevices. Why not more? Who knows, but my guess is that this is the maximum that can be pumped into an iPad without making it too hot (especially as many iPads are charged while in thick cases) or causing the battery to blow up. This is a very practical fix. Clearly the Retina screen in the latest iPads still requires a giant battery (otherwise the iPad 4 would be thinner than the fat iPad 3). Until battery tech improves, or these screens need more power then the battery will take longer to charge. And a juicier power supply seems like a smart way to help out for now. Interestingly, the adapter is the only thing in the box: you need to bring your own cable. 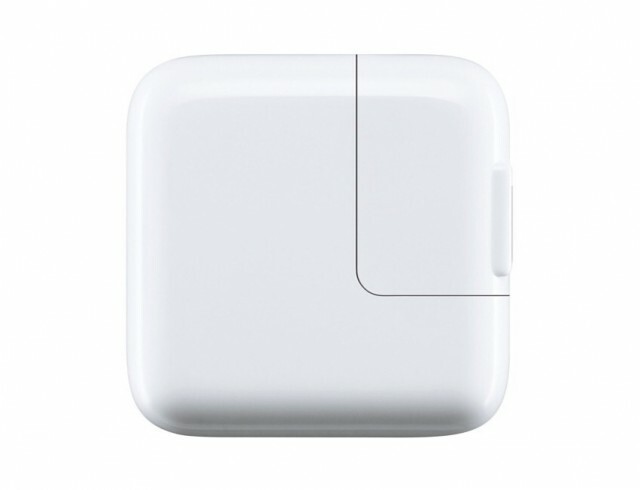 It’ll also be interesting to see if this adapter replaces the one that ships inside the international adapter pack.